We believe that leadership can be developed as a competitive advantage and the Leadership research has matured to support this. 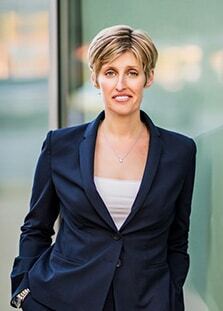 Our work is with CEO’s and their teams to improve their business outcomes and we leverage our Chief Executive experience and Leadership expertise to support the evolution of your leadership capability, what we call your Leadership Breakthrough. Research completed and published by Dr. Jack Zenger and Dr. Joe Folkman using the multi-rater (often known as 360) feedback reports on 56,000 managers allowed the authors to compare the business results and leadership effectiveness of this population. 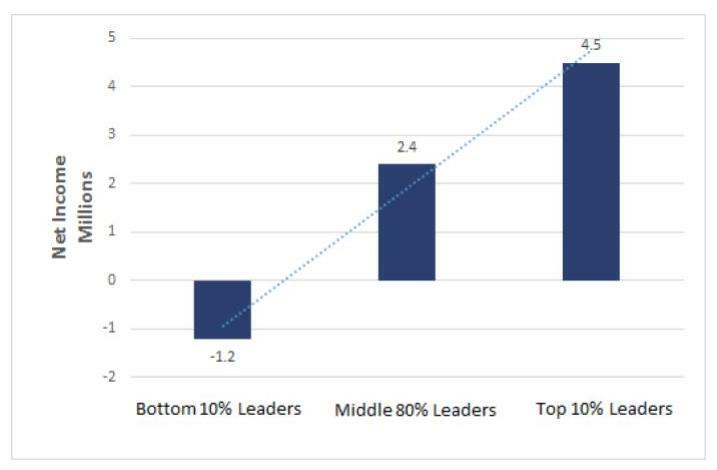 The results were significant; the top 10% of leaders achieved almost twice the profit of the middle 80% of leaders and delivered over 4 times the profit of the bottom 10%. And while the authors will acknowledge that in every case reviewed the comparable results were not always a 2x or 4x multiple of profit, the trend line remained similar. We have built our approach to Leadership development on the best of the leadership theory and the Universal Model of Leadership Framework. We start with a multi-rater Leadership assessment for each team member. Then we customize a 6-month development plan with monthly ½ day workshops. The workshops we often use for growing teams include Courageous Conversations, Achieving and Systems Thinking. Other modules may also be added such as Listening as a Leader, Awareness, and Transformation. Throughout the process, we can structure opportunities for peer to peer coaching or we can engage certified coaches. Our clients often use this leadership development process with additional projects or as their emerging leaders take on new business roles. After the development process, we reassess each participants Leadership. Highly motivated leaders can achieve a 25% improvement in their leadership effectiveness. We would love to talk to you about how Leadership can become a compelling competitive advantage for your business. If you are interested in learning more about our approach to leadership team development, please provide your information in the contact box below or click here to book a complimentary information session.